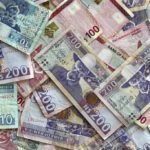 Currency in Ghana has a long (and surprisingly international) history spanning back well before European interference. Today the cedi reflects the country’s proudly independent identity. It hasn’t been an easy road but the cedi, and Ghana, should have a bright future. Want to learn more about Ghana? The name cedi comes from the Akan (the native language of the Akan people who make up about 60% of the population of Ghana) word for cowry shell. These shells are not native to Ghana but rather to the Indian Ocean. They were brought to Ghana by Arab slave traders and merchants, where they continued to circulate until 1901 alongside gold coins. After Ghana fell under British rule, the British West African pound was introduced. After winning independence in 1957 Ghana introduced the Ghanaian pound which lasted until 1965 when the country opted to introduce a decimal based currency (at this time the GBP was still divided into 20 shillings or 240 pennies). Along with the new decimal system the country also thought up a new name, the cedi. The cedi was officially introduced by President Kwame Nkrumah in 1965. Unfortunately for Nkrumah and the first cedi, a coup just two years later ousted Nkrumah and replaced the cedi with a new version. The new cedi removed the former president’s likeness from the notes, and was brought in at a rate of 1 new cedi to 1.2 old ceti which worked out to 2.45 cedi to 1 GBP or 1 cedi to 0.98 USD. By 1973 the cedi was pegged at a rate of 2.80 cedi to US$1.00 due to inflation. Strict price controls ravaged the economy and just a decade later in 1983, 1 USD was worth 120 cedi on the black market despite the official rate of 2.80 cedi to 1 USD. 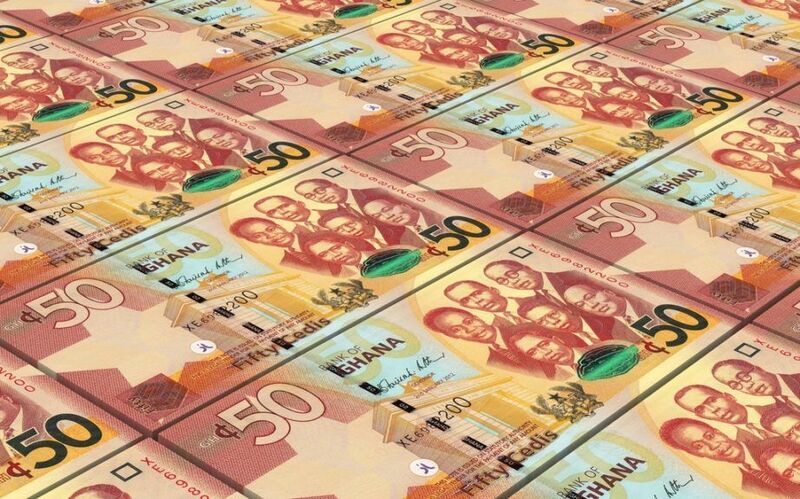 Ghana began to liberalise its economy but it did not stop the devaluation of the cedi. By 2007, when the third cidi was introduced, 1 USD was worth 9500 cedi. 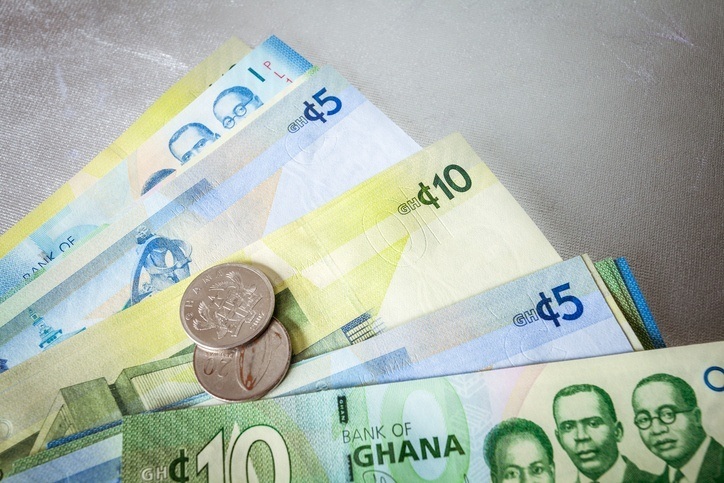 The third cedi was introduced at a rate of 1 third cedi to 10,000 old cedi, but it soon picked up where the old cedi left off – by falling in value. In January 2008 the rate was 1 USD to 0.930 cedi, but this quickly fell to 1 USD to 1.155 cedi by September. By 2014 inflation caused the third cedi to fall to 25% of its initial worth. Since 2012 the cedi has declined from 1 USD = 1.932 GHS, to 1 USD = 3 GHS in 2014, to 1 USD = 3.96 GHS in 2016, and finally to 1 USD = 4.41 GHS today. 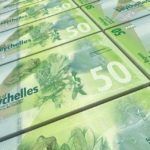 The coins currently in circulation are the 5 pesewas, 10 pesewas, 20 pesewas, 50 pesewas, and 1 cedi. Ghana is one of the richest countries (per capita) in western Africa, and in 2011 was technically the fastest growing country in the world, thanks mostly to the fact that the GDP was ‘rebased’ meaning it was readjusted to match the modern economy. For example, new industries like mobile phones didn’t exist when the previous ‘base’ GDP was calculated. Last year Ghana’s estimated GDP growth returned to a more reasonable 4.7%. After South Africa, Ghana is Africa’s biggest producer of gold, and also has oil, manganese ore, bauxite, and diamonds. 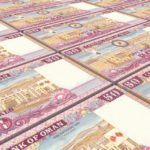 Most of the country’s debt was cancelled in 2005 but mismanagement and falling oil prices meant the country had to take out a near $1 billion loan from the IMF. Tax in Ghana is relatively low at just 25% for the highest personal income tax level and corporate tax rate. Despite this, the country ranks 106th in terms of ease of doing business due to weak property rights, lack of transparency, and corruption. Ghana’s economy and currency have had issues in the past but both now seems to be on the right track. Ghana’s unemployment rates is below 1.5% and less than 3% of people live below the poverty line. If Ghana can increase transparency and reduce corruption then the country will enjoy a bright future. Explore more of Ghana with our Profile and Travel Guide.